Hello everyone! This summer, I've been working full time at a small department store and as a result, I've had loads of fun with my make up to keep my spirits up (standing on your feet for 8 hours straight is hard work). I'm only going to post two looks here, but as I am leaving my job this Friday (yay) expect a few more looks in the near future. Anyway, this summer, I've rekindled my love of steampunk and these two looks are inspired by the subculture. To all of those silly people who say that black and brown don't go together, I say that they should rethink that arguement. In my opinion, they go together quite nicely. 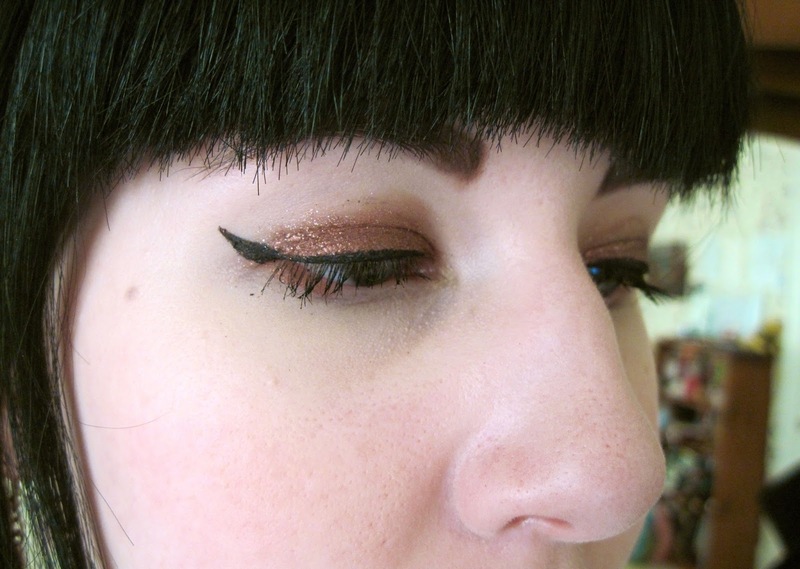 Here, I'm using Esteé Lauder gel eyeshadow in Bronze (which I sometimes use as an eyeliner). 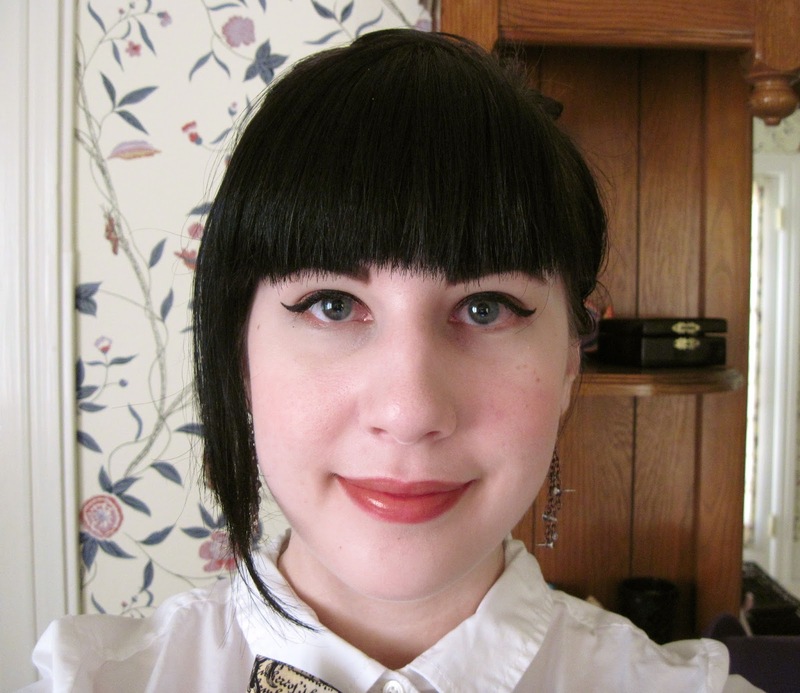 The lipstick is also Esteé (in Burnished Bronze). The lipstick does look more bronze-y than in this picture. Ah, the perks (or drawbacks from my wallet's point of view) of working right next to the cosmetics counters. I'm a big fan of the "haunted" look, so that's what I went for here. 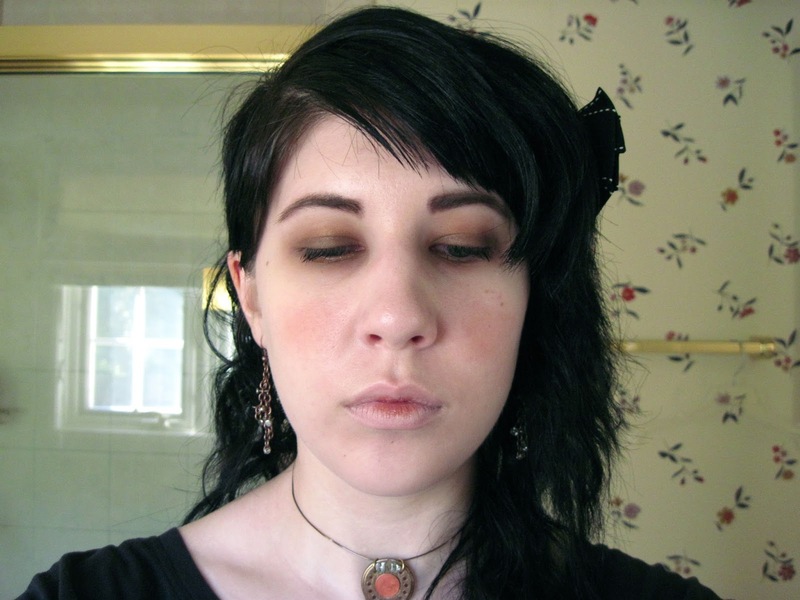 I'm using some Mary Kay eyeshadow my friend gave to me (she doesn't wear make up much). For my lips, I washed them out with foundation and then dabbed a bit of Burnished Bronze in the centre. Stay tuned for more make up posts and at least one outfit post in the next few days! I like your looks, I am a big fan of Steampunk too. I really like the hairdos too.